I am a lay-man when it comes to veterinary science and have no qualifications in this field so this information should, naturally be taken as a ‘view’ and part of your overall research into what is best for your poultry. 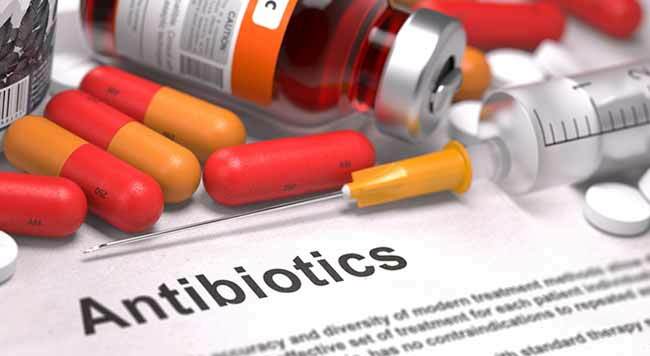 Antibiotics are a fairly common treatment given to poultry on prescription to treat a variety of infections. Baytril or Tylan are often given to chickens with respiratory problems for example (and seem to work well for this complaint) but what is the risk is to our health when we are using antibiotics in animals that are producing food for human consumption? When we treat our egg or meat producing chickens (or any animal for that matter) with an antibiotic, it works by killing most of the bacteria that are responsible for the infection which helps them recover, but unfortunately it doesn’t just kill these bacteria. Antibiotics also kill many (but not all) of the naturally occurring bacteria that live in the chickens’ gut called campylobacter. If you breed poultry then you are probably aware of the term ‘selection process’. ‘Like breeds like’ is a common phrase you hear so by selecting birds with the best qualities, you get a greater number of offspring with your desired characteristics. By removing birds with undesirable qualities from the breeding pen, you are reducing the chances of more of the same thing appearing in future generations. Unfortunately, the same rules apply with bacteria. By killing many of the naturally occurring campylobacter in the chickens’ gut, we are leaving the campylobacter that are resistant to the antibiotic to multiply and as we know, ‘like breeds like’ we are essentially producing more antibiotic resistant bacteria. So why is this a problem? Well, if campylobacter gets into your body (from say contaminated meat), you’ll probably get a nasty case of food poisoning. When you see your doctor, he will prescribe an antibiotic that in fact is similar to the antibiotic used on your poultry. If enough resistance has built up in the campylobacter then (you’ve guessed it), it won’t be effective. This is simplified considerably and in reality, it is far more complex than this. Bacteria can pass genes between their species so other bad boys in the world of bacteria could acquire these genes. You can imagine how terrible the situation could become. Just as we created all of these wonderful pure breeds after years of selection, we might end up with a bacteria or ‘super bug’ that can’t be killed by any of the antibiotics doctors have at their disposal. This evolution is a serious concern and you will read a good deal about antibiotic resistant bacteria in the news. It isn’t just the antibiotics used in poultry, it is livestock too and many a dairy is using antibiotics by the bucket-load to treat infection. Baytril has been banned in US poultry production to try to slow down the evolution of antibiotic resistant bacteria. Baytril has a similar make-up to the human antibiotic Cipro. How long will it be before the UK follows I wonder? If you have unused antibiotics, remember they should not be tipped down the drain because much of the water we drink from the tap comes from recycled waste water. My research has certainly opened my eyes to the use of antibiotics in poultry and I have made a decision not to use antibiotics in future unless I absolutely have to.